We’ve all faced disappointing traffic numbers and even heart-stopping dives. It happened to me recently on this website. Two years ago, I was blogging along as usual, when wham, my traffic dropped! As it turns out, it was a random algorithm update that killed things for a week or two. Several tweaks later, I was back up to even higher numbers than before. I understand that algorithms can change, audiences can leave, and a website can suffer from penalties. But I’m also convinced that there’s no reason to settle for low traffic. How can I be so confident? Because I faced it. I dealt with it. I recovered. I’ve come up with 10 SEO tactics proven to boost traffic. If you’re feeling skeptical right about now, I understand. I am sure plenty of SEO snake oil salesmen have tried to convince you that [insert some random weird hack here] could boost your SEO. I don’t give advice that doesn’t work or hasn’t worked for me and my clients. These tactics actually work. And here’s a quick comment before you dive into the tactics. I’ve intentionally avoided all the obvious stuff because you’d already have already tried that. These techniques are relatively advanced. However, with the right skillset and a bit of patience, I know that you can master each technique and enjoy the boost in traffic. Do you know where Google Knowledge Graph gets its content from? Wait, what the heck is Wikidata? Wikidata is a community-driven initiative that belongs to the Wikimedia organization. They own a bunch of Wiki sites serving information content in a variety of languages. It’s easy to see that once you get into Wikidata, either as a company or as a reference, your business will benefit in terms of exposure and traffic. Plus, a link from any of the Wiki sites is worth its weight in gold. Many organizations pull data from the Wiki sites. The most important of them all is Google. The content that gets featured in the Google Knowledge Graph is from Wikidata. Do you see now why it’s important? The first thing to do is to read and understand the guidelines. The next step is to write an authoritative piece based on a primary keyword, organization, or individual in your niche. It must be factual and non-promotional. Now create a website, page, or subdomain that defines the concept and contains comprehensive information, including all the pain points related to the keyword. For example, if you are in the fashion industry, you can talk about fashion in general, the problems faced by manufacturers, the common pitfalls of using some equipment, the secret lives of fashion models, and so on. Next, jump into the Wikidata community, and socialize. Don’t create a topic until you have contributed positively to the community and established your own personal vibe. If a new member jumps in and creates a topic, it could be flagged by the editors. You should try to create a topic that doesn’t already exist in the community. Let’s say you sell products related to the fashion industry, specifically industrial sewing machines. One of your top sellers is the Brother brand. Use Google to check whether information on Brother sewing machines shows up in the knowledge graph. I checked. It doesn’t. There’s no knowledge graph for Brother sewing machines as of 8 June 2016. Write an exhaustive piece on Brother sewing machines on your subdomain or the website you have specifically created for sharing knowledge. Create a topic on Wikidata (for example: History, Evolution, Pros and Cons, and Current Status of Brother Sewing Machines) and choose a channel to publish your data on (any one of the Wiki properties; in my case, Wikipedia). Write your statements, and link to appropriate references. You must link keywords and brands to public documents (use the documents hosted on Wiki sites), and one of your links or references must be to the site you created. Your page must be strong and backed by data. Fluffy or thin pages are deleted by the editors. You can even add social media URLs to the reference pages. It would be a good idea to create a group discussion on LinkedIn related to the topic, and link it as a reference on your Wiki page. In addition to this, you must go to each Wiki site and edit or contribute to topics that contain your keyword. Don’t forget to write an authoritative piece on your subdomain or website and link to it as a reference. For the example above, the keywords would be fashion, sewing, clothing, models, etc. News articles get pulled by Google on two SERPs—the traditional SERP you’re used to and the News section. You may not have thought of Google News as a traffic source, but consider my point. It’s a traffic wellspring! To get into Google news requires perseverance, honest reporting, cutting-edge articles, and regular updates. Start a “News” section on your blog/site. Update it regularly (1-2 newsy posts a day is a good practice). Publish authoritative, unique, original, and newsworthy content. For research, set up a Google Alert for keywords in your niche. Informational articles such as how-tos and guides do not qualify. Every post must be newsy. Do not publish aggregated content. Every news article you write must be authoritative. The byline of each post must be linked to the author’s profile, which should contain their contact information and links to their social media profiles. Follow the Google quality guidelines before starting your news section. You need to subscribe to a paid Google account to become a Google News Partner because you can’t get in with a free account. The best thing is to sign up for a Google Apps email account, available for as low as $5 per month (https://apps.google.com/pricing.html). Finally, start publishing, and enroll as a Google News Partner after building up sizeable content (at least 50 pages). Yeah, it reads like a slow process, but it’s worth millions! The posts contained in such carousels are Google Posts. Google Posts isn’t commercially launched yet. There’s a waitlist, and you must get on the waitlist. Google Posts allows verified and prominent individuals and organizations to create content (text, images, videos) on the fly and publish instantly. Once the posts are published, they will be visible on Google SERPs when a user searches for topics and keywords within that niche. The hassle, of course, is that you can’t start using Google Posts immediately. If you are an established organization or a prominent individual, you should sign up and reap the benefits when it goes live. AMP is a new coding standard, and the way it is shaping up, it seems that it will go on to become a global HTML coding best practice. I highly recommend you research it and implement what you can. Think of AMP HTML as regular HTML with some restrictions that reduce clunkiness and help generate reliability. AMP HTML (and JS) increases the loading speed of your web pages, which is an extremely important factor. This protocol is on its way to become a huge ranking factor. Google has already included it in its Search Console, and many web developers around the world are quickly adopting it. Remember the time when Google made mobile-friendly design a ranking factor? Developers were slow to pick up on it, and when their site rankings dropped, there was panic. That’s why I encourage you to get started on AMP right away and to keep your site AMP-ready. Moreover, AMP will make your pages load faster, which will help you rank higher and attract more traffic. Did you know it was Brian Dean of Backlinko who coined the term Skyscraper Technique? Although it’s simple when you think of it, it requires some pretty intense work. Does it work? Yes, it does. Sites with traditionally low traffic or in traffic slumps have experienced an uptick in traffic after using the technique. First, simply research the top-shared content in your niche. You can use BuzzSumo or EpicBeat. Select 2-3 top posts in your niche. These will serve as the basis for your research. Write a better and more in-depth article (with a new title). You can do this by picking up the phone and interviewing appropriate experts, reading industry white papers, or checking out research reports. There are plenty of ways to improve upon what currently exists. Market your article. Try to market it on the same channels and groups as the original article. I have no doubt that your article will be picked up and talked about. Result: Traffic, shares, and more traffic. Personal assistants, such as Siri, and voice search tools, such as Google Voice search, are getting smarter by the day. Google also recently unveiled the Google Assistant, an AI like Siri, at its I/O Conference. The number of people using their personal assistants to help them with their online search or scheduling tasks as well as the number of voice searchers are growing each day. Most voice searches or requests typically start with a question word (what, when, how, where, which, etc.). One of the key takeaways from the Google I/O developer conference notes was that over 20% of the searches on the Google app on Android in the US were performed by voice. I don’t have the stats for Siri, but if you put two and two together, it’s easy to infer that your SEO must be ready for voice search/voice assistants because its use will keep increasing over time. How will you get your website ready for voice search? By developing an FAQ page in your niche. An FAQ page can easily leverage both the question word and the keyword/correlated keywords. Learn about the pain points faced by consumers in your niche. You can learn about these online (forums or social media) and by conducting a customer survey. Visit government and non-profit websites where people complain about products and marketing tactics. Check out Amazon and eBay for product complaints/nasty reviews (in your niche). Buy an e-book that talks about the pros and cons of your niche. Make a list of the questions that a lot of customers have in common. Finally, take all this research and create a giant FAQ page that is neatly divided into categories. Make each question shareable, and write detailed and helpful answers. Do this, and you’ll quickly get some traffic to your site. But it’s not as difficult as you think. You can increase your website’s traffic by growing your personal brand. I spent about a decade cultivating my personal brand. I then used that personal brand to boost traffic and generate high-converting leads, creating several multi-million dollar businesses. You can do the same. Here is how. Start sharing your knowledge tactfully and helping others without giving away your business secrets. First, register at Q&A sites such as Quora, Yahoo Answers, and WikiHow. Join LinkedIn groups, and reach out to other sites in your niche that could benefit from your guest authorship or input. Start answering questions and helping users. Do not promote your business or link to your website. If your answers are helpful, users will start requesting your help. When you see help requests coming in, it’s time to strike (in a good way, of course). From this point on, help people, but link back to your article or site when you do so. Followers and browsers will follow your link, and your site traffic will multiply like crazy. Yahoo Answers, LinkedIn, and Quora are liberal with links, but WikiHow has a tough backlinking policy, so be careful. Whatever you do, be polite, and write factual helpful information. Many website owners do all the right things and still wonder why their traffic volume is static (or decreasing). The answer could be that you may be doing too many of the right things. There are tons of SEO and content marketing tips available on the web, and while reading as much as possible is a good thing, trying to do everything may prove to be counterproductive. Content marketing is performed on social media and blogs, which are user-driven. Viewers expect the writer or poster to interact with them and follow up on their articles. If you’re into excessive content marketing, you won’t have time to interact. You’ll also feel burnt out doing too many things at the same time. My advice is to stick to three or four social media channels (Facebook and YouTube are important). Once your traffic and sales increase, you can consider hiring someone to handle other social channels. You may have heard that influencer marketing is dead, but I can guarantee you that if any influencer links to your post, a swarm of traffic will follow. Now, you cannot overtly approach an influencer and request that person to promote your content. Why? Because the minute the influencer reads your first line, they’ll understand what you want. Honestly, it’s a turnoff. Influencers receive hundreds of content promotion requests every month. They can spot one from a distance. Here’s what you can do instead. Influence and motivate the influencer to share your content. I’ll show you how you can attempt that with an example. I visited one top blog, Off The Cuff, and found it was founded and owned by Christopher Hogan. Next, I visited Christopher Hogan’s Twitter page. It looks like he tweets often, and some of his tweets are about formal fashion in different seasons (he has 3,300 followers. It’s a bit low, but there’s a twist in the tale). That gave me an idea—a content strategy that can be endorsed by many influencers (with a gazillion followers). Check around the other top blogs. Figure out which bloggers have thousands of followers on Twitter or Facebook. Read their posts/tweets. Search for their interviews online to figure out what motivates them. Create an article (or video or infographic) based on my research. If I wanted to influence Christopher Hogan, I would create an infographic or write an article based on formal fashion for men for summer. I would stock the items that feature my content in my online store. I could perhaps title it “Men’s Formal Fashion for The Summer Inspired by Christopher Hogan Designs” (or some other designer). I would then tweet it to him or post on his FB page. If it appeals to him (and it should because I would have spent a whole lot of time and love making it), he will share it. That would get me targeted traffic that has the potential to convert. Even if he doesn’t retweet, I know I’m sitting on killer content bound to get noticed by guys who strut around in formals during the summer. What I have given you is just an example. And it’s only the tip of the iceberg when it comes to the potential of this technique. Use your creativity to devise even more advanced and informative content within your niche. You can use other tools, such as Followerwonk or Buzzsumo, to find influencers and apply the same technique. There are so many articles floating around on keyword research that I wasn’t sure whether I should include this tip. E-commerce is a serious business. If you know what customers are exactly searching for, it could be rock-and-roll time for your sales and traffic. Shoppers who have finished their research typically head to retail sites such as Amazon to buy stuff. As I’m sure you’re aware, Amazon is the world’s largest e-tailer. Researching keywords on Amazon and including them in your content can be a rewarding SEO task. To research keywords on Amazon, you need to subscribe to a paid keyword research service. Then, now check the results page. Notice the filters and categories in the column on the far left. Finally, expand each category, and copy the keywords that drop down. These are the keywords that real shoppers with ready-to-swipe credit cards search for (on Amazon). Use these very keywords in your content. If your traffic has dropped because of slow loading pages, lousy server, clunky coding, malware, unfriendly UI, etc., no amount of SEO, SMM, or PPC can help you. Plus, you’ll end up wasting a ton of money. Fix the basic issues first, and then move on to marketing and SEO. The tactics I have recommended will help you attract traffic that has the potential to convert. It’s worked for me. I’m confident it will work for you too. Tell me how it goes! And let me know about both your successes and your challenges. I want to help. Ya the ROI is kind of a question for most people, but if it leads Google to favor you in a competitive niche it’s worth it. AMP is not a ranking factor. AMP provides SEO value indirectly. It reduces page sizes, while improving loading speed and these two are ranking factors. Hi Neil, thanks so much for including my blog post (Skyscraper technique image reference) in the post, it means a lot to me. According to me as I shared in your linked post, Skyscraper technique works like a charm. The more you do it the better results you will get. Coming to the point on using “Google News” to using to your own advantage is another great tactic. I’ll be definitely going to use that strategy at least on my clients blogs who are struggling to boost their SEO traffic. Excellent post Neil #1 and the angle on #9 are particularly great tactics you’re just introducing me to! Quite the accomplishment if you can WOW them. Biggest thing with traffic is keep reaching out. Improve content quality, and be consistent. Don’t spread yourself thin and simply keep going with what you believe in. When I first started reach out to influencers about Gmail Algorithm, no one listened. I didn’t give up and now being featured in major blogs. Thanks to people like Neil, I’ve learned not to give up. I even got to help Social Media Examiner with their open rates and present to them to factors of Gmail Algorithm. Great post Neil! When you have a gut feeling about something that doesn’t go away, stick with it. Just like you kept going even after no one listened, you made it happen. That’s no easy thing to do. Excellent article Neil. I am a bit confused about tactic number 9 however. In this example is Christopher Hogan an influencer or a designer or both? Also, not sure what “the twist i the tale” is. surely you should simply choose someone with a bigger twitter following? Love your stuff-keep it coming! How much you made Neil? by promoting wiki and gooogle’s upcoming products. Thank you for sharing such an awesome and in-depth article with us. These all tips are amazing especially the Skyscraper Technique. I have heard a lot about it and I am going to follow it. Overall, a great post. Thanks for your time writing and sharing this with us. Hi Reis, he’s referring to social sharing. In the same way having social buttons can increase the reach of your emails, he’s recommending that your FAQ questions also be shareable so they’ll be shared and linked to all over the internet. The method of sharing I’m less certain about out. I guess you’d be free to get creative. Very cool list… very innovative solutions. A news tab is an interesting idea… time to check out what news.google.com has on my niche at the moment, lol. Then again, if you just have a CTA button that leads to a form.. that would basically be good enough, assuming the SEO Advantage + Bounce Rate Advantage (from faster page load) offset the Extra Step disadvantage (of having to click to navigate to a form). There are limitations true, but I think it’s improving fairly quickly. You will know if your server is lousy if your *Server Response Time* is low (on Google’s page, it will flag your server as a “slow” responder if it takes longer than 200-250ms, if I recall correctly. You can solve this for free through reputable CDNs (Content Delivery Networks) such as CloudFlare. They offer paid plans, but they also offer free plans where they re-host your website on high-performance servers around the world. It seems too good to be true, but it’s basically like any other freemium service where the paid component offsets the price of providing a free service. i implement several WP site with AMP .. but why the AMP pages doesn’t load automatically when using mobile phone ? it still accessing regular pages .. Awesome post sir, and nice suggestions to look at main cause before implementing any seo method. I recently face the user drop from google. now i will find the cause . 🙂 Thank you so much for such a nice article. Thanks for the article Neil. Neil, you’ve just drop another nugget for traffic well. And if I may add to your great and helpful tips, it is better to start with one of this tips (traffic source above as advise by Neil). People get overwhelmed easily and lost track when they try to do all at the same time. And that will amount to waste of time and resource. Some will even say it doesn’t work. But it works, am a living testimony. There’s no traffic that converts like traffic that willingly come to you for solution. They see you as a solution provider. Though it might take time to get there, but remember patience is bitter but the fruit is sweeter. Neil, you’re a great mentor. Thank you for sharing another well of traffic. I like that analogy Femi. There’s a lot going on in the digital world, sometimes it moves lighting fast, but most of the time you need to allow things to happen. Another knowlesge-based and useful post. Thanks a lot but I still do not know why my FlagShip site https://BinaryBrokers.club site is not having double-digit traffic. Make it a case in your next or one of next topics and show us the facts on-the-job but not theoritaclly! Show us the faults which were made on the site?!? I appreciate your invaluable support in advance FOR ALL OF US! Thanks for the suggest Mark, yah I’ll consider it for the next one. Thanks! Seo is Best way to drive Traffic From search Engine.You Guide Awesome in this Article.Thanks For sharing with us,keep up it. I loved this post, maybe this will help me to make my blog grow. The Skyscraper technique is one thing i have tried in another dimension in my blog and my traffic jumped. i was receiving 400-700 pageviews before i tried the technique and my traffic jumped to 3000-4700 pageview with a rapid increase in my Adsense earning. So what am saying is that the Skyscraper link building technique rocks very well. Thanks Niel for sharing another powerful tip. Have send my #WAITLIST request already to Google Post. I have wordpress websites. After reading about AMP in google adsense etc, i aimed to must setup AMP for my websites. Then i found this plugin https://wordpress.org/plugins/amp/. I can realize that AMP will take SERP control in near future due to serving speed and low bandwidth usage. Accelerated Mobile Pages on my websites are “Super Fast”. Cool to hear you are predicting AMP serves Googles’ desire to put customers first and therefore will be a great thing to leverage for SERP. I was a bit on the fence, but probably because it’s just unfamiliar tech. Hopefully it’s quick to learn, I just need to figure out how the responsive CSS works / if it allows for media queries (to target specific devices so your pages look good on any mobile device). I’m sure they would support this for a mobile-centric project though so, I just need to be dig it up now. At the end of the Day, Quality content always wins. Timeliness, helping out other bloggers in our niche also help. Thx Neil. This is awesome. I bookmarked and I’m going to try 2 to 3 of these out – both on my existing site which is doing well and my new site that I launched 2 weeks ago. Oh, and I’m going to do another A/B test on my hellobar. Thx for that, too. This is awesome post Neil. I have a suggestion that next time onwards can you upload a video contents too with these post. This would be amazing to understand the contents in 2 – 3 mins. nice post Neil… Your every post gives us the best knowledge about digital marketing fields.. Very Good Article Neil !!!! Very interesting points for new website owner to easily reach out to other sites in niche that could benefit from guest authorship from Q&A sites such as Quora, Yahoo Answers, and WikiHow. As always Neil, I can’t thank you enough for all the very valuable knowledge you put out which is worth its weight in gold! FAQ technique is really good technique, I am going to implement it on my site. Thanks for sharing wonderful techniques. Quite an informative article. Agree, that most of tactics will be useful to drive huge traffic on long term. Challenging among them seems to be the Skyscrapper Technique as additional and quality content is required to be added in the already existing content. Please share any additional tools for the Skyscrapper Technique. The Skyscrapper technique will take you far Yugandhara, so I would work on getting that perfect first. I’ll be sure to post more techniques like this soon! Hey Neil! Thank you for the info. Another great post by the best in the business. Hey neil can you tell me any email marketing guide so that it can tell me about email marketing tools & secrets? Great ideas! can’t wait to get some of them into action! Excellent Post, Learned a lot in last 10 mins. Keep up the good work Neil. I’ve heard of skyscrapper but I’ve not given it a trial. Getting one’s post on google news is not easy boss…the requirements seem unachievable. Most the points you highlighted in the post are actually strange to me…but am sure given them a trial will surely have a positive result. It will take you a little while to get familiar with them, but that’s normal when you’re learning anything new right? This blog really helpful, every time i visit here and get some best tips about SEO. There are i learn about new seo techniques and it’s related suggestions. traffic .Thanks for provividing a such specified and detaiiled information. It’s an valuable guide.I like the part wikidata and Google posts because these two are new to me. Hope you regularly produce great content and help us do better with our blogs. I have a one question :- when you go for Google news submission they always demand that basic “SEO” structure of your site should be up to the level. If on page “SEO” and all other basic “SEO” practice are not done then they will not approve your site. Waiting for your suggestion on it. Yes, I would only go when you have all your ducks in a row. E commerence is a serious business please explain me more about this. Thanks for providing a such specified and detailled information. Mind blowing post i have ever read on this topic of “SEO tactics” that can help to achieve website rankings as well as generate massive amount of traffic. I didn’t know much about how to use “Skyscraper Technique” before reading this blog, I really appreciate for this affordable stuff, your efforts and time you spent on this. I am going to implement all these actionable SEO techniques on my site. Will try the #6, #7 & #9, the ninth one can be tried on you as well because u r one of the gurus of Internet Marketing. Great stuff?. This is content marketing, adding value to the internet. Thanks for the valuable info as usual. Always wanted to know how to get into Google News but never explored it thoroughly. Thank you for providing this helpful information. Thank you for providing a such specified and detailed information. I was not aware of many things mentioned. But now I have some information. Glad this was helpful Anika! Thanks for this rich and detailed article, though I had to click through a lot of initial pop up style open things to reach the article, why don’t you load those things maybe 1 minute or 2 after the user is on the page. Because I personally feel that people might be pissed off by going through so many different pages before actually reaching a blog post. I am Prathamesh Dastapure, a 19 year old engineering student and you have inspired me to start my online venture http://everythingstartup.in/ for startups and aspiring entrepreneurs in India, which has been doing good. I have recently launched Podcasts where I interview successful and inspiring entrpereneurs of India just struggling to get the appropriate traffic for podcasts. Is there any separate way to bring traffic to the podcast episodes when published as blog posts. I think the collection of advices in this article is really great, but thinking abount the FAQ page I would like to bring another topic: Glossaries. Whe know that many market or niche uses a lot of terms that are only releated to that field or common word that when used in a field get a different meanings. Have a glossary inside the blog could be a great to improve the internal linking and also bring new readers with this SEO boost. I would like to let you know a new (free) plugin that me and my team have released for the WordPress CMS and it creates links and pages automatically once a new term is inserted. I would love to have your feedback on it and do not hesitate the get in contact with me. Keep up your amazing work because your content is always really interesting and of high (high) quality. You’re welcome Andrea, glad this post was helpful. Thanks for sharing your plugin, I’ll take a look when I get a chance and let you know if I have any feedback. Thenk you Neil, I’m looking forward for your feedback and congrats for your new book! key word targetting is a very good point written by you. thanks a lot for explaining theese now i can understand the fact that before start a work i should make a plan target for what I am doing it. And how can it be done. I am aware that Google News approved sites can bring lots of highly targeted traffic and build a good retargeting list, but since its a very slow and time consuming process for getting approved, do you recommend buying domains/websites that are already approved for Google News? I saw that these domains are a bit expensive…so is it worth investing in such a thing? Have you tested this out? This is excellent content mate, thank-you. I love anything case studies, especially when it’s starting to finish, and you’ve done a high quality job. Appreciate the insights. Half way through the article and I’m already implementing. Many thanks! Hi, Neil i have tried out the knowledge graph for my website but there was little bit confusion about it! How does it appears in google by knowledge graph & structured data? How to work for my brand to show on google for example crafts**** & k**** if i search these it will show the brand with out knowledge graph! What is the difference between those? Google provides the markup code and you just use the code that them and others follow with the code standards. The big issue you will see is that even if you have the right markup, there is no guarantee that they pull data from your site and show it. You are the best. Really helpful post for everyone. Once again thank you so much!! this one is awesome Neil. great work friend. thank you. Nice well thought out article. On #4 it should be noted that AMP is only applicable for mobile pages. It wont do any good for your desktop search traffic. Very cool article! I’m definitely trying the Wikidata thing, and I’ll try Quora/WikiHow/Yahoo Answers on my new site. For tip #9, is this scalable? Seems like a ton of work to target 1 person; and I doubt another influencer would be interested in sharing it (i.e. if I wrote a blog on ‘How to do SEO the Rand Fishkin Way’, I’m guessing you wouldn’t jump to share it). And if it is scalable, how? I noticed that you share stuff from other industry experts all the time. What about up and comer “case studies”…ever want to do something like that? Thanks for sharing the tactics. Though I am not a public figure but I have filled up the Google Posts form and joined the waiting list. Thanks Neil but you didnt explain how the website update increased your traffic level even higher than before, after you were hit with a google update!? 1. Do we get no-follow links via this (just checked -hence asking)? Is that really useful from SEO “link-juice” perspective? 2. You mentioned to use google to check if something exists in Google Knowledge graph – Could you elaborate on this? Does this mean that when you use google for your “keyword” and nothing special pops up in Right-hand-side of the page or at top of the page then, there is still availability for you keyword ? Appreciate your posts and guides. Would love to hear from you on these questions. Power ideas from high effort, high reward content marketing to rev up your traffic. Most I had never heard of. I am going to try point no-2 to bring more traffic by getting into Google News. But i have a question neil, i normally see the top domains dominating the google news. Will the new blog or new article gets any chances to get in those search engine results? Or we have to battle it out like serp rankings there? Thanks for sharing wonderful techniques. Very useful ! Great Article Neil.My website rankinga have gone down and there is very less traffic.Hope these tips will help. 1)How do you qualify for Google Posts? 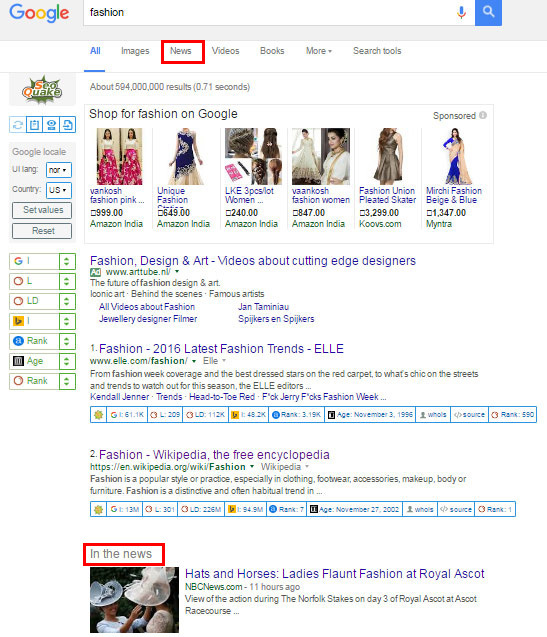 2)Does information about your business in Wikipedia help in Seo Rankings? There- I bookmarked it! !! I copied it on my notepad! !! I even shared it with my peers on Facebook and twitter!!! What more do you want??????? **I just want to say that this was a game-changer post. lol Thanks as always! Thanks for sharing wonderful techniques. Very useful to get traffic ! i appreciate your work.